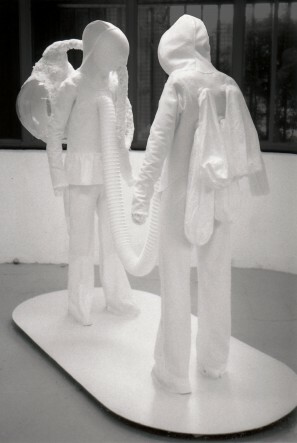 This work shows two human figures wearing fantasy astronaut suits. Like Siamese twins they seem to be connected with each other. 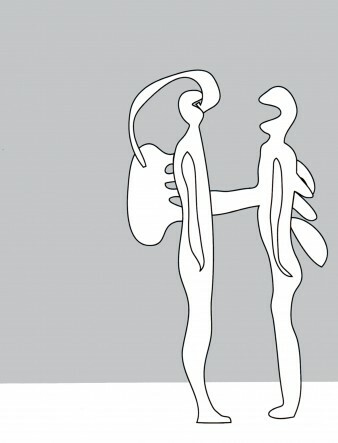 They are totally isolated from their surrounding, but at the same time they are infinitely intimate in their correlation.